Damaris was described by her previous owners as “Sweet! Easy! Intelligent! Damaris is just one of those girls.” We couldn’t agree more! She is a big girl with nice straight conformation, good breadth in her chest, and lots and lots of rich, dark color in her background. Her Canadian bloodlines bring some genetic diversity to our herd. 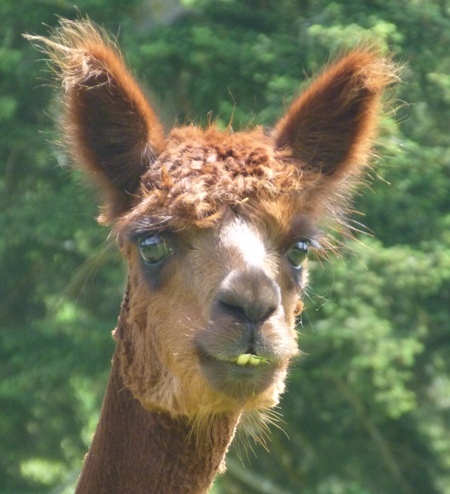 Damaris consistently produces lovely crias with no muss and no fuss. Her cria have wonderful structure, broad chest capacity, heavy bone and tend to have some of the nicest personalities on our farm! 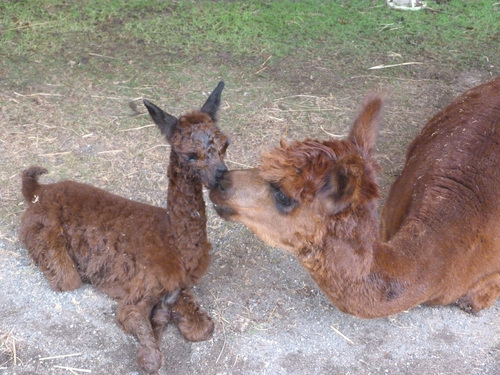 She has delivered crias in a range of colors from light fawn to dark brown, and even a silver gray beauty named "Amazing Grace". 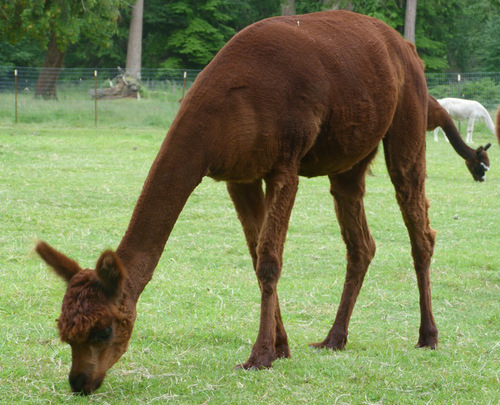 Though she is 13 years old, Damaris is a healthy, solid girl and is ready to be bred. 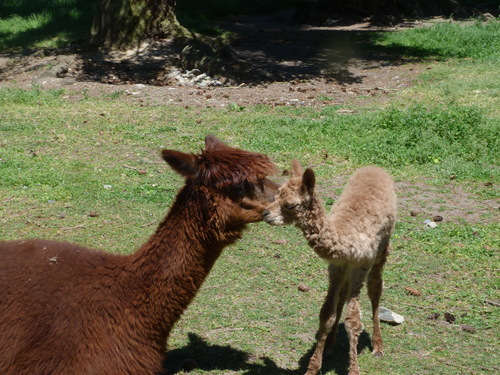 She has NO problem maintaining her weight throughout pregnancy and while she has a cria at side. 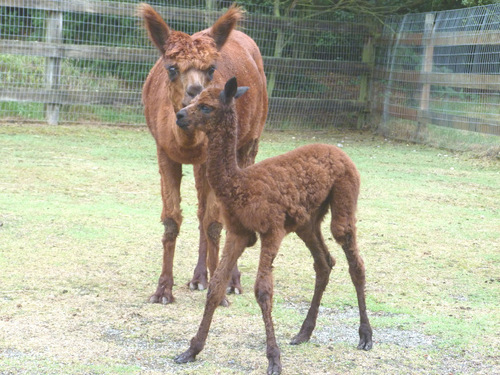 Damaris has recently been exposed to Accoyo America Triumph for a 2019 cria. 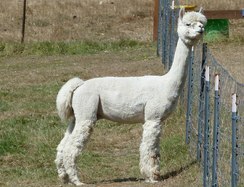 Triumph is a terrific male in fiber, conformation, and disposition. He is producing awesome offspring, and we are excited to see what this pairing will produce!